Kirkkonummi is a municipality of inhabitants in southern Finland. Deepen your sense of the past at sights like Raseborg Castle and Hvittrask. Visiting Bellevue Beach and Aurlahti Beach will get you outdoors. 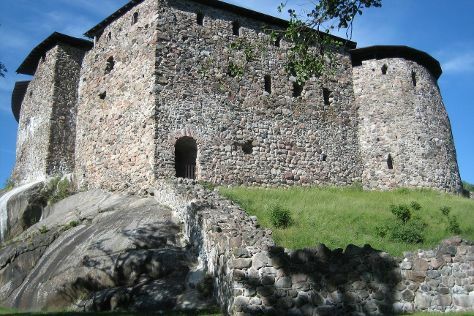 Get out of town with these interesting Kirkkonummi side-trips: Inkoo (Inkoon kirkko, Elisaari, & more), Hanko (Hanko Museum, Gunnarstrand, & more) and Raseborg (Hagen - Ramsholmen - Hogholmen, Forngarden Folk Museum, & more). Spend the 14th (Thu) exploring nature at Teijo national park. There's much more to do: visit a coastal fixture at Bengtskar Lighthouse, explore the wealth of natural beauty at Torronsuo National Park, steep yourself in history at Jokioinen Museum Railway, and indulge your thirst for a good beer at Mathildedalin Kylapanimo. To find ratings, where to stay, photos, and more tourist information, go to the Kirkkonummi trip planner . If you are flying in from Australia, the closest major airports are Helsinki Vantaa Airport, Turku Airport and Tampere-Pirkkala Airport. February in Kirkkonummi sees daily highs of 0°C and lows of -5°C at night. Wrap up your sightseeing on the 28th (Thu) early enough to travel back home.